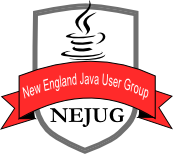 Are you a NEJUG member and not yet activated your account? Please activate your account here. Volunteering opportunities for hosting events and other group activities. Job announcements in the greater Boston area. Network with other Java developers and professionals from various technology domains.